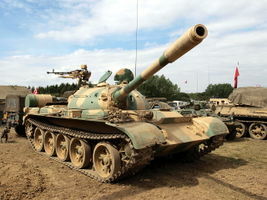 Inicialmente, el WZ-120 (Type 59) era una copia del medio soviético T-54A. En posteriores modificaciones el blindado fue mejorado. Entre 6000 y 9500 vehículos en todas sus variantes fueron fabricados desde 1958 hasta 1987. 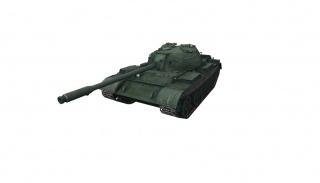 The WZ-120 is very similar to its Soviet counterpart, the T-54, and the play style is also comparable to the Type 59. 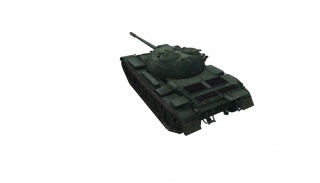 While the WZ-120 may be similar to the T-54, the T-54 has better hull armor by 20mm of frontal armor. The top gun of the WZ-120, the tier 10 122mm 60-122T, has the highest alpha damage of all tier 9 medium tanks, and the 5th best armor penetration with default ammo. Very expensive upgrades, especially if you didn't finish the Chinese heavy line. From Chinese medium line, long grind for three guns (total 163,000 XP) to elite the tank. Longer aiming time and reload speed compared to almost all other tier 9 medium tanks. 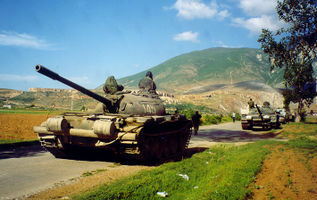 Less agile and less hull armor when compared to Soviet counterpart, T-54. 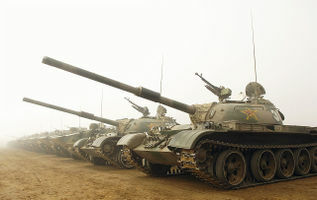 The WZ-120 outperforms many tanks of its tier, and gives same tier medium tanks stiff competition due to its excellent top gun and mobility. 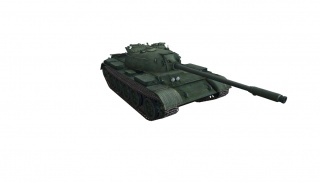 However, like the T-54, getting the WZ-120 "fully upgraded" takes time and patience, but it is well worth the grind. Because of this tank's good mobility, speed, and powerful gun, it is a formidable opponent against many of its tier 9 counterparts. 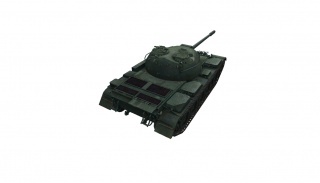 This tank can be used in a number of ways according to your play style from which line you came up from. It has less max and traverse speed than the WZ-132, but still a good top and traverse for a tier 9 medium, making a well rounded tier 9 tank for most players. If you came from the WZ-132, the 100 mm 60-100T Gun and A-220A Radio carry over. Mount them immediately. It is recommended to get the suspension so you do not need to worry about weight of the other important modules later on. If you want more firepower, research the WZ-120-1 Turret, followed by the 100 mm 62-100T Gun and the 122 mm 60-122T Gun. The WZ-120-1 Turret adds an additional 100 Hit Points to the tank. If you want more speed, research the 12150LT Engine. If you have played Chinese heavy tank line already, you might have 100 mm 62-100t researched from 110 and 122 mm 60-122T from 113, making grind much shorter.